A man in Chengdu learned the hard way why you aren’t supposed to feed the tigers at the zoo. 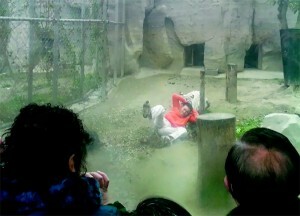 The 26-year-old man named Yang Jinhai jumped into the tiger cage at the Chengdu Zoo with a backpack full of rice. The tigers weren’t interested in the rice, but a tiger did bite the man. He was rescued by over 50 zoo employees before he suffered any serious injuries. 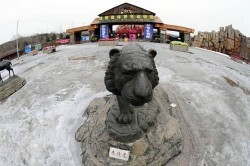 Shenyang, China news agency reports on March 11, 11 Siberian tigers died within three month period in Shenyang Forest Wild Animal Park, allegedly the cause of death was lack of food, starvation. At the same period of time 30 other animals also died there.